Straight off the bat, just wanna say that I loved Yogyakarta. And I’m kind of not even sure why. Ok, I know it was because of the amazing historical attractions, vibrant culture, delicious street food and friendly people, but there was also something I couldn’t put my finger on here. Something that had me immediately warm to this place, that called me, that enticed me, that intrigued me and that delighted me. And it’s probably not just me, because Yogyakarta is definitely on of the top destinations for travellers in the island of Java. So move over Bali, if you’re looking for some real cultural currency during your time in Indonesia, then look no further than this awesome city. My time in Indonesia was kindly sponsored by the Indonesian Ministry of Tourism, but, as always, all views are my own. So coming in at number one is ironically something not located actually within Yogyakarta itself, but it is close by. It’s so amazing, that I had to put this bad boy at the top of the list! 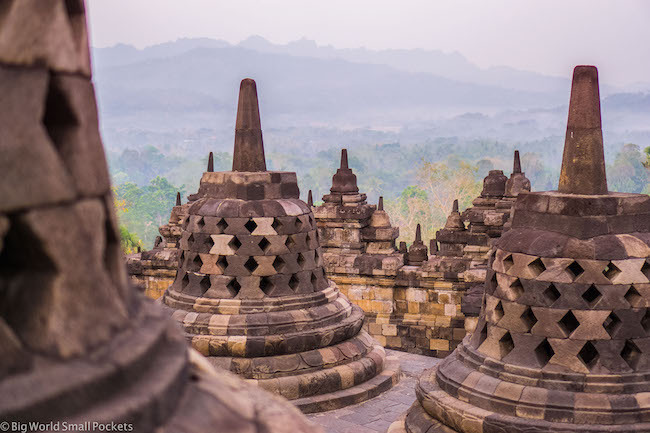 Yes watching the sunrise over the largest Buddhist Temple in the world at Borobudur is one thing you cannot miss when you visit Yogyakarta. 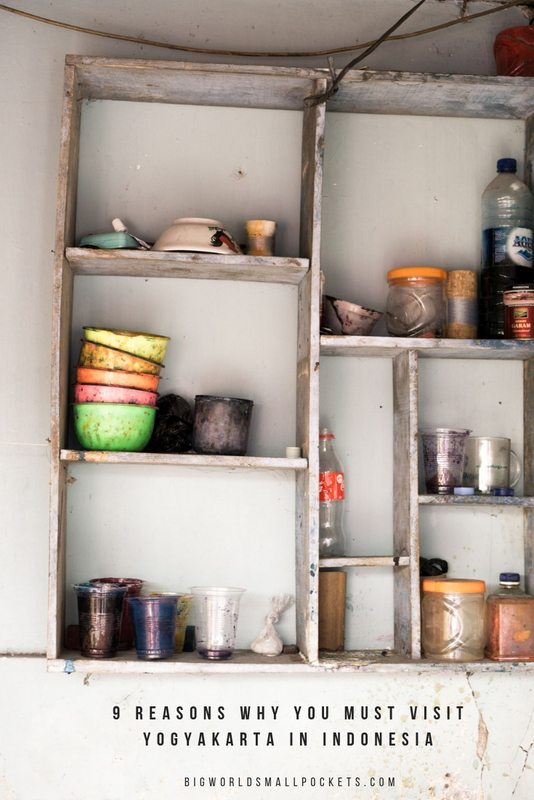 In fact, it’s pretty much the 1 reason to visit this part of Java in its own right. As the sounds of monks chanting slowly fills the air around you, the pink light piercing the sky washes this huge temple with a rose-coloured light and perfectly contrasts the dark and ancient stones. Climb to the top of the temple for the best views and get ready to start snapping! 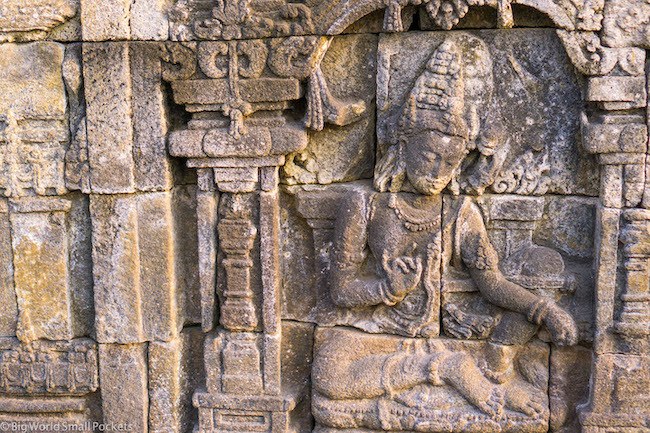 After the light display is over, you’ll also want to spend some time walking around and exploring this temple – marvelling at the intricate engravings. 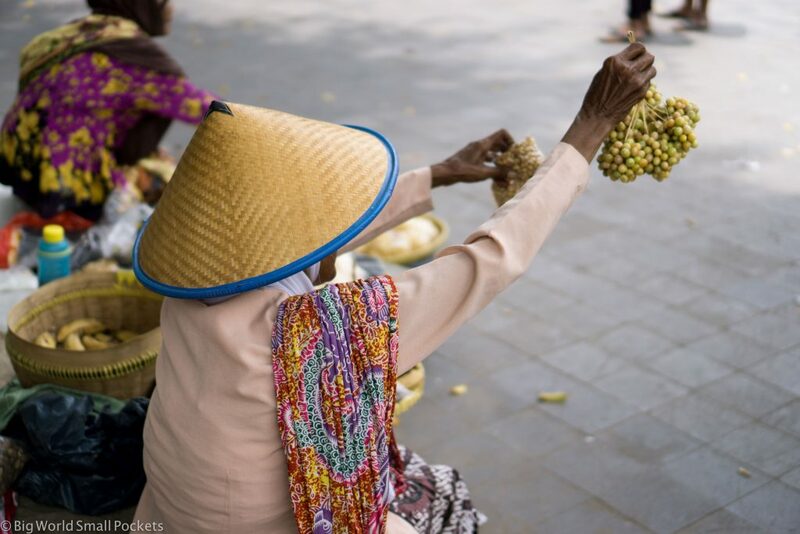 It’s no secret that Indonesia is an absolute dream of a country for the foodies among you and Yogyakarta is no exception. And for those of you with a sweet tooth, you’ll be delighted to learn that it’s the sugary stuff this city is famous for! 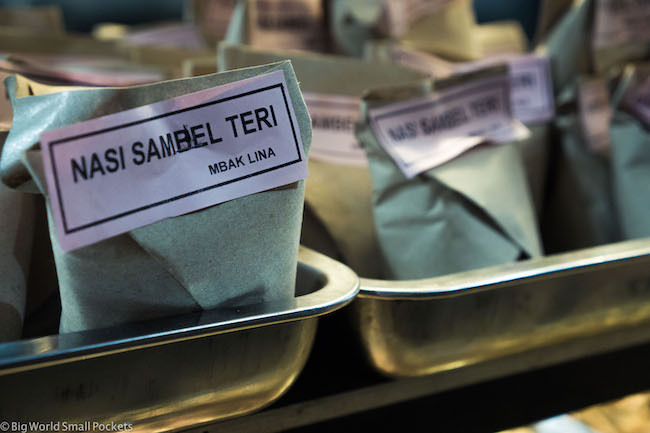 So get your hunger game on, hit up Yogyakarta and prepare to eat your heart out! Of course, there’s tons of amazing restaurants to choose from, but for us budget travellers perhaps it’s the allure of the great street food that is most appealing. The place to head is the main Tugu Street, where vendors line the sides of the road. Head here in the evening to soak up the atmosphere and try street grills, desserts and my fav, the small take away packets of flavoured rice that you can add what you want to. I love my Sony A6000 mirrorless camera, which I’ve used throughout my travels in Indonesia and beyond. Light, compact and sturdy, it’s the perfect companion to adventuring around the world and snapping memories to last you a lifetime. 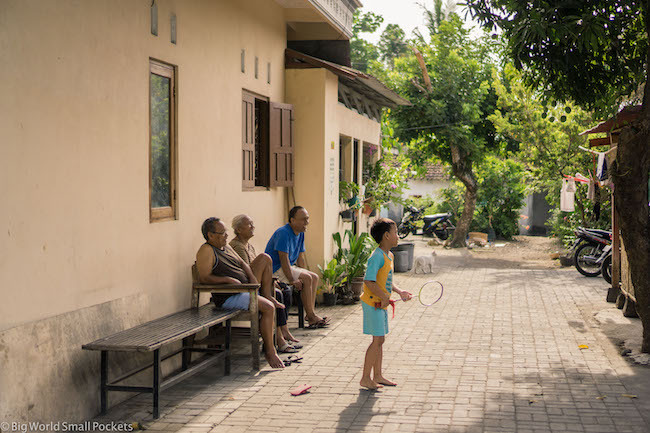 If you’ve seen my post about the many faces of Indonesia, you’ll know that this country absolutely captured the heart of my camera as well as me! And perhaps the place that did this the most was Yogyakarta. A bustling student city, the vibrancy on the street here was utterly compelling and on just about every corner, I found myself digging for my camera to snap some aspect of natural life that I found completely fascinating. People here were so happy to have their photos taken too – as babies were thrust into my arms, kids grinned cheekily from behind their parents legs and shopkeepers leant out of their doorways to strike a pose! And that’s the people – not to mention the amazing historical sights, food and traditional dancers. 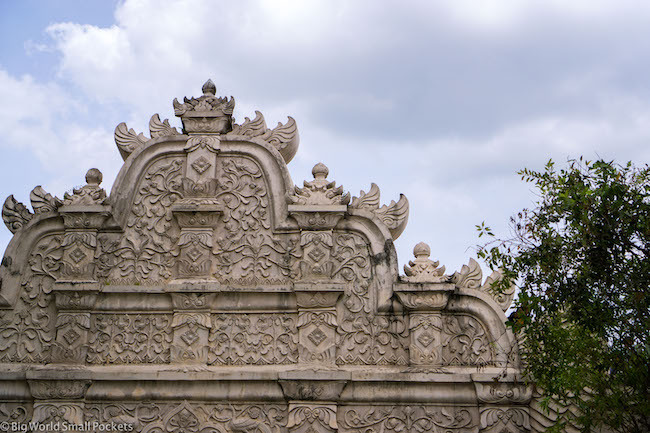 And one of those top historical sights has to be Yogyakarta’s Water Castle. 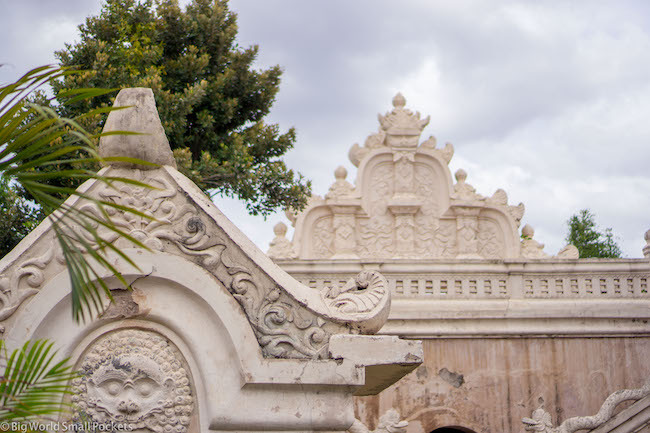 Known as Taman Sari, this is the former residence slash playground of the Sultan – because did you know Yogyakarta is actually still kingdom! Wandering this beautiful palace with its pools, stone steps and photogenic archways is definitely one of the top reasons to visit Indonesia and an intriguing insight into the unique culture of this city. The Segaran Lake area can’t be missed, nor can the 4 meeting staircases inside the Sumur Gumuling. The Kampung Taman community around the palace is also worth exploring as you wander down backstreets past people’s houses and some amazing handicraft stalls. 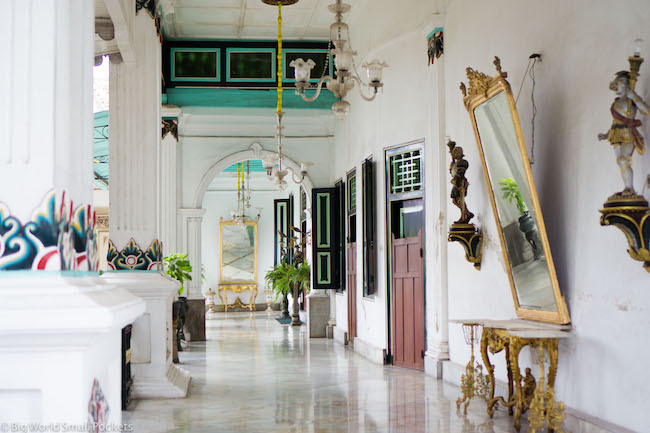 Another one of the top reason to visit Yogyakarta is for the completely quirky Kraton of Yogyakarta. This is the palace of the Sultan of this city, which as I’ve said is still something of a monarchy and, as such, is actually classified as a “special region”. The “sultanship” (have I made that word up?!) normally passes from father to eldest son, but the current Sultan only has daughters, so we’ll wait to see if Yogyakarta gets a female Sultan next or the title passes to the current leader’s brother. The current Sultan – Hamengkubuwono X – lives here and you can see parts of his residence (from the outside of course), as well as his guards dressed in their official costumes. The palace is also architecturally beautiful and there’s some interesting museum exhibitions worth wandering around – especially to look at the old photos. 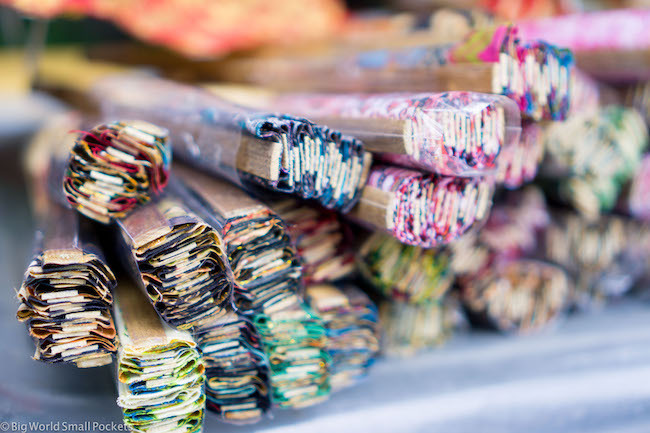 A centre of traditional Javanese arts, Yogyakarta is an important hub for preserving ancient Indonesian art, skills and heritage. 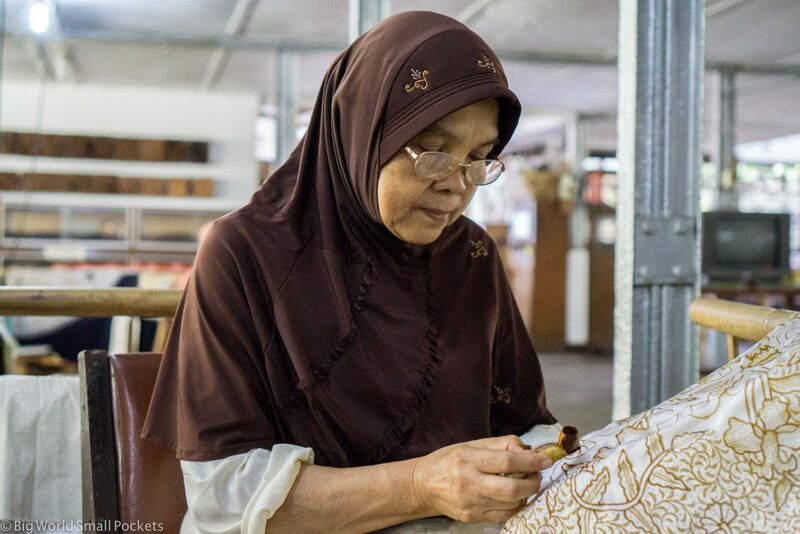 One of the most fascinating aspects of this the ancient fabric decorative technique known as batik. And in Yogyakarta, there’s several places where you can go to try your hand at this difficult art and (attempt) to learn from the experts – although if you’re like me your success rate might be a bit patchy! 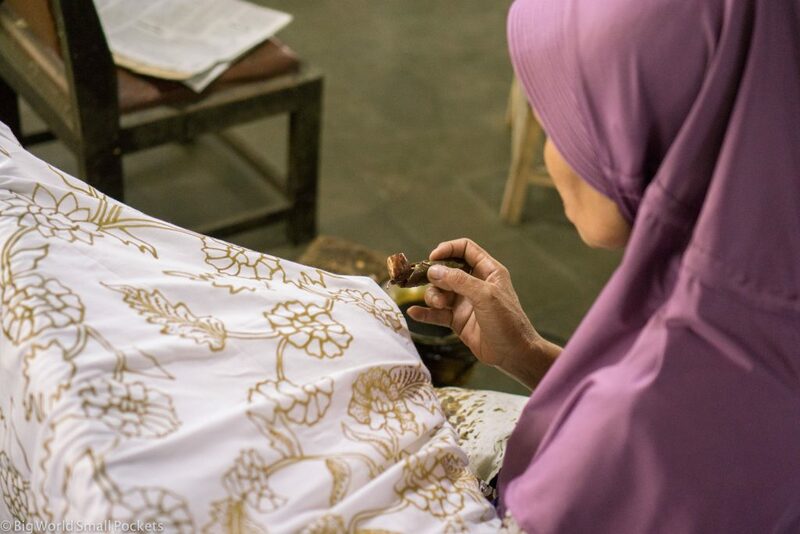 One of the best places to try your hand at this skill is at Batik Plentong Village, where you can also buy some more professionally executed pieces! If you’re travelling off the beaten path or for an extended period of time, then I always recommend travel insurance from World Nomads as the best option for coverage and peace of mind. With an easy, online claims process and the ability to buy or extend a policy when you’re already overseas, I’ve used this great company throughout my time in Indonesia and beyond. 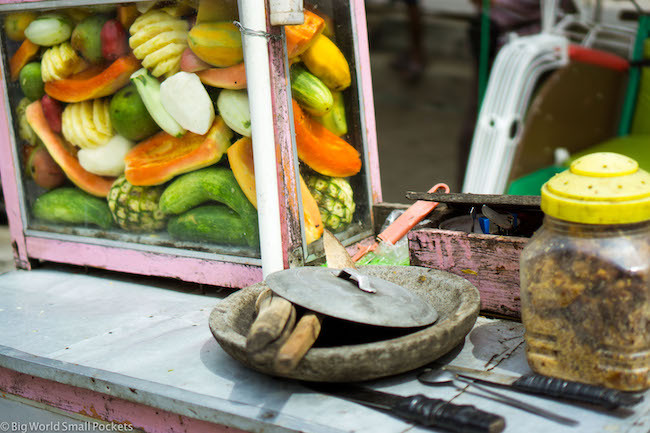 No trip to Indonesia can be considered complete without a trip to an amazing and colourful market. And Yogyakarta is no exception! From huge clothes markets, to street food markets through to bird markets (yes bird markets – once see you amount the people who have birds outside their houses you’ll understand!) this is a cultural experience you’ve just got to bite the bullet and get involved in, enjoying the chaos and craziness as you go! This is absolutely one of the top reasons to visit Yogyakarta and is a huge amount of fun too! 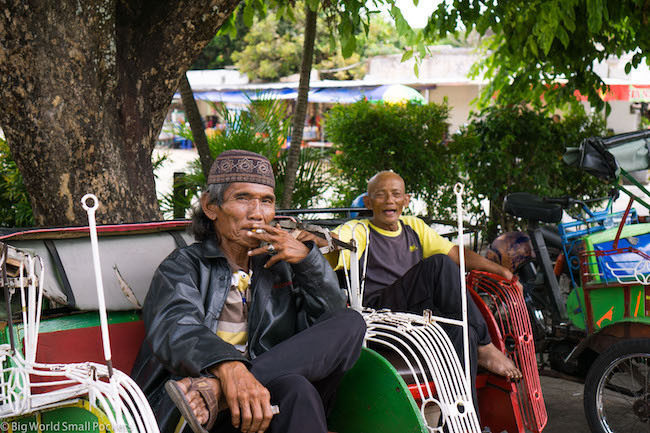 Honestly, you can’t enjoy a ride around the city on becak and not have a huge smile spread across your face. 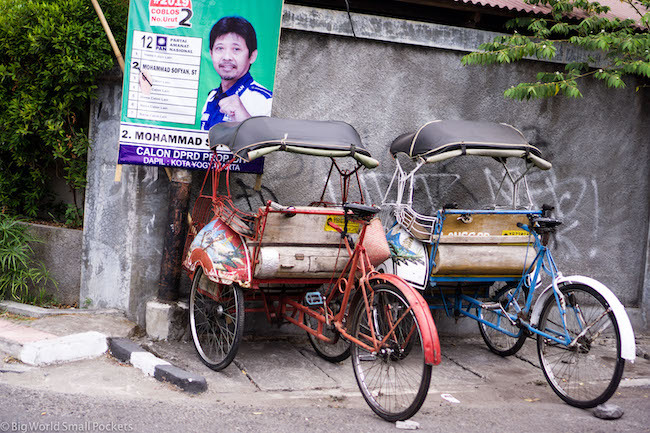 Essentially a glorified sort of rickshaw – normally a becak is a bicycle or motorbike with a simple carriage in the front. Sitting 2 people at a squeeze, enjoying being driven around the historical centre as you weave in and out of the traffic, trying to overtake your friends and feel the wind in your hair! 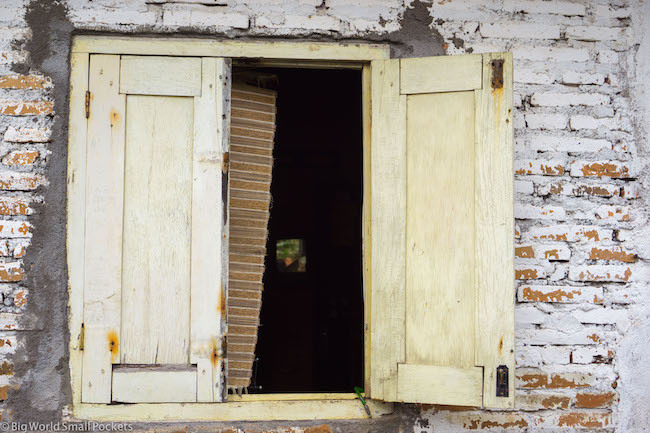 Becaks have now been banned in Jakarta, so hop onboard in Yogyakarta while you still can! 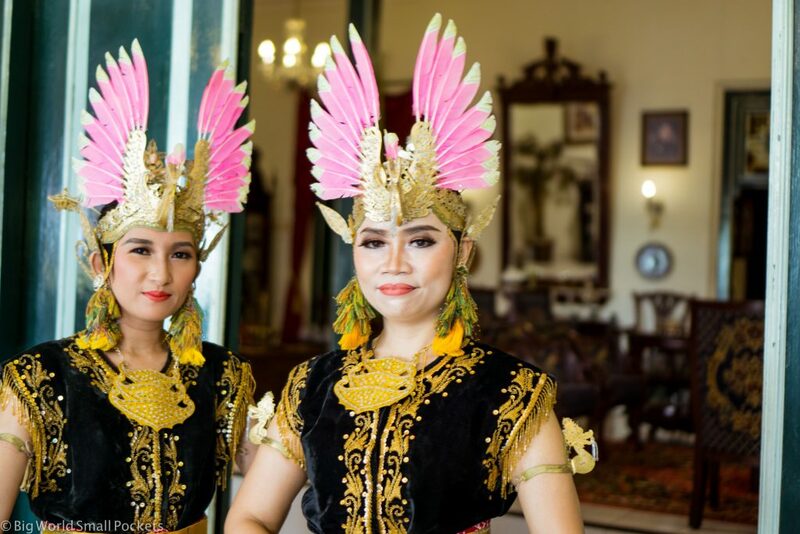 When I was in Yogyakarta I saw some truly amazing traditional dancers – the costumes of which were alone enough to stun me! In this part of Indonesia, the moves tend to be a lot slower and you honestly won’t be able to believe the level of control the dancers have as they gracefully and almost imperceptibly move their bodies as if they were flowing like water. 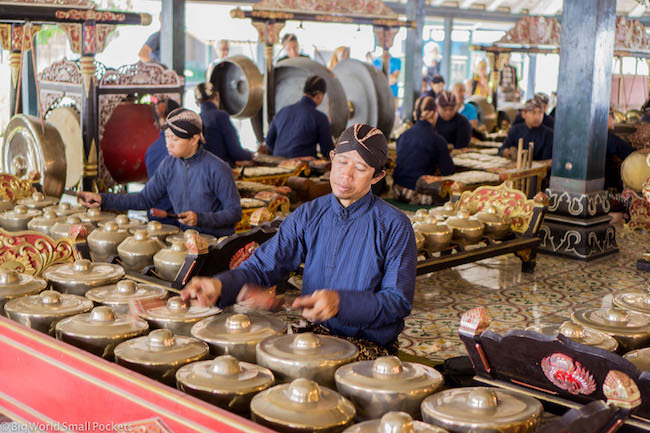 One of the best places to see this ancient art form is at the Sultan’s palace, where it is traditionally performed in a Pendopo – a square, open-sided courtyard covered by a Javanese peaked roof. And if you want the chance to explore the amazing country of Indonesia for FREE as part of an all-inclusive trip… then check out this quiz by the Ministry of Tourism Republic of Indonesia for your chance to win this wonderful opportunity! Which one of my top 9 reasons to visit Yogyakarta entices you most? Or perhaps you’ve already been and have a favourite too? So happy you like the piece and coming from somebody that calls this place home – that’s quite the compliment! Thank you 🙂 We all await the Sultan decision with bated breath… !!! hi, really nice article about Yogyakarta. 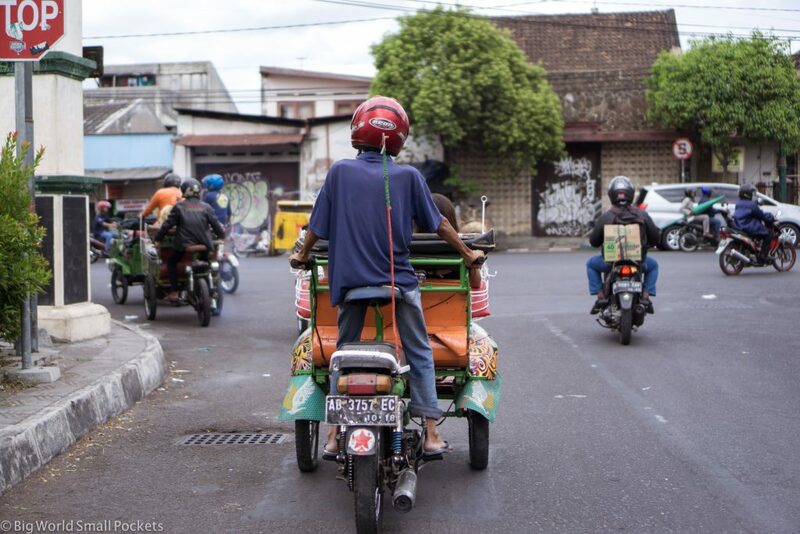 Loved Yogyakarta and definitely planning to be back… just not sure when!